One of the emerging topics this summer at the Microsoft Research Faculty Summit was ‘the body as prolific data generator to delay and prevent disease’. 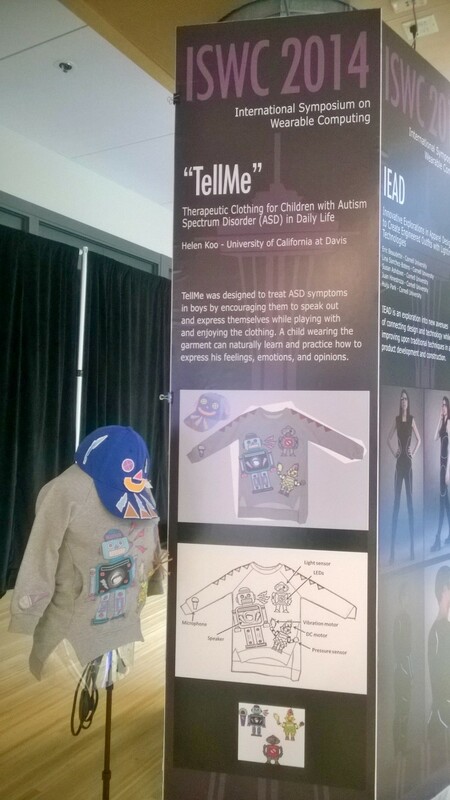 Last week, I was fortunate to be meeting up with colleagues at Microsoft Research, Studio 99, during the run of the ISWC: The International Symposium on Wearable Computers (Sept. 18-Octover 24, 2014). 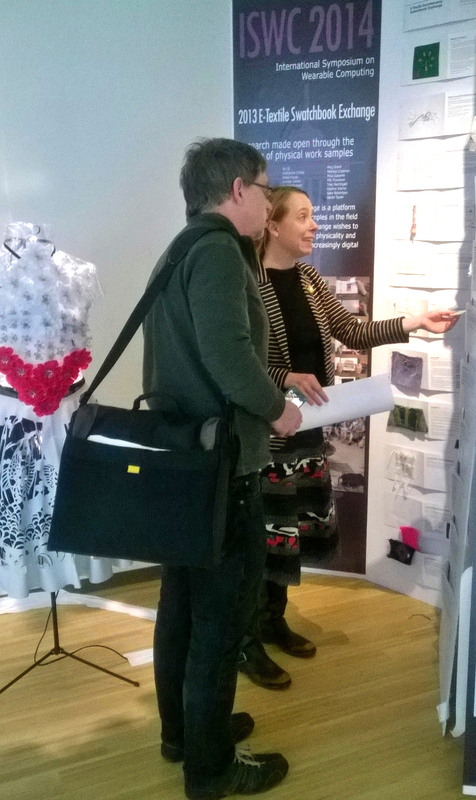 The conference and accompanying juried design exhibition, which has been a highlight of the ISWC program since its inception in 2008, brought to life many ideas like these that were presented at the 2014 MS Research Faculty Summit. This year, the expert jury panel was composed of Seattle’s own Maggie Orth of International Fashion Machines, Asta Roseway of Microsoft Research Studio 99, Zoe Romano of Arduino, and Meg Grant, independent researcher and wearable technology journalist. The jury selected 16 submissions into the exhibit, which was held at the EMP in Seattle this year. After the conference, the exhibition moved to Microsoft Research Studio 99, which is where I saw it. Asta Rosway, Principal Research Designer, works in emerging technologies pertaining to Human Computer Interaction, Affective Computing, and Wearables. 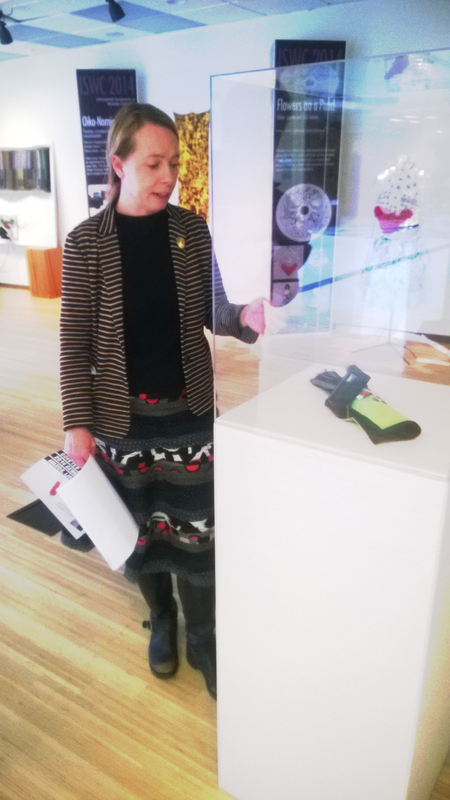 She was nice enough to give Jeff Brice, Chair of Design at Cornish and myself a tour of the groundbreaking work in the ‘Wear IT’ Design Exposition and Wearable Showcase…!!! The exhibit at Microsoft Research was deinstalled today, in fact. But, if and when ISWC graces our fair city again, you know ‘wear’ I’ll be!